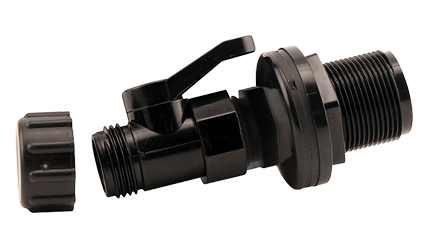 Hydro Flow™ Shut Off Valve Kit is a simple fix when you need to transport fluid from a reservoir or storage container. Simply drill a hole in your container, insert bulk head fitting, tighten the bulk head nut on the inside of your container and you are ready to distribute fluid where you need it. Another simple solution exclusively from Hydro Flow™.